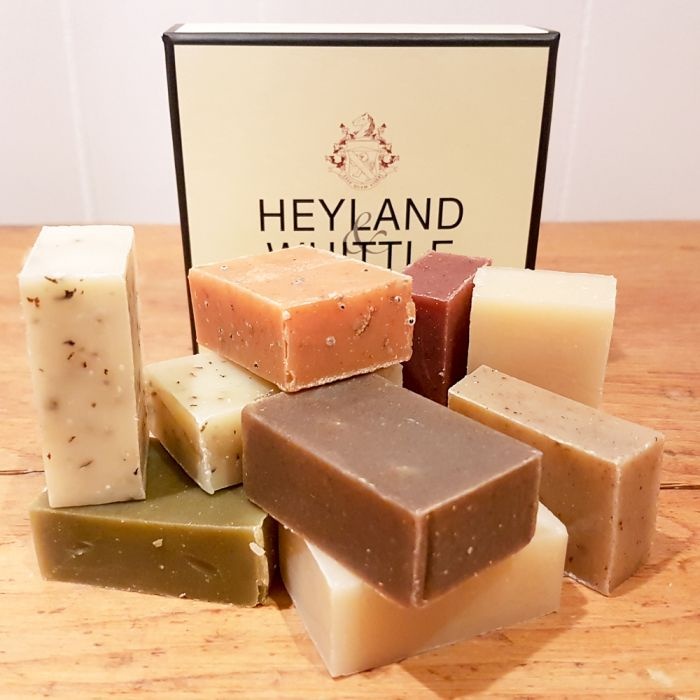 A selection of ten traditional handmade soaps, perfect for the indecisive gift receiver! In a lovely gift box with pink tissue paper, and includes a menu card so you know exactly what is what. The fragrance from the soap is enough to fill a bathroom with fantastic aromas. Includes one each of Olive, Seaweed, Tea Tree, Oatmeal &amp; Spice, Rose, Queen of the Nile, Hemp &amp; Walnut, Lavender, Citrus Grove and Herbal Mint. 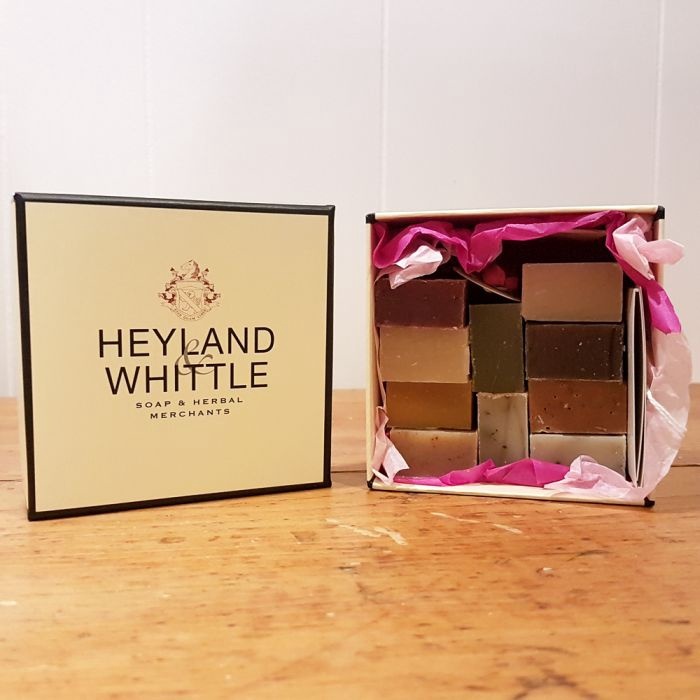 Certified 100% organic and paraben free, these soaps by Heyland & Whittle are handmade in England and are suitable for all skin types.